Understand how much this move will cost. Write down how much you’ll be paying for legal fees, lender and broker fees and removals - you’ll see it soon tallies up. You don’t want any nasty surprises further down the line, so plan your budget now. We have professional Financial Consultants who are ready to help you calculate the costs involved when buying a home. Work out what size of mortgage you can borrow. We recommend that you make a free initial appointment with with our partners Embrace Financial Services to see what kind of mortgage you can afford. Often with access to a comprehensive range of mortgages across the market, the mortgage advisers are in a fantastic position to advise you on a range of options. From time to time they have access to exclusive deals.† Usually the advisers will then help you to obtain a 'Decision in Principle' from a suitable lender, which will give you the confidence to start looking for a property. A Decision in Principle means that a lender is willing to consider a mortgage application from you up to a stated amount and therefore will give you some confidence to start looking for a property. In law, conveyancing is the transfer of legal title of property from one person to another. It’s often a confusing process and you need a solicitor to make it happen. 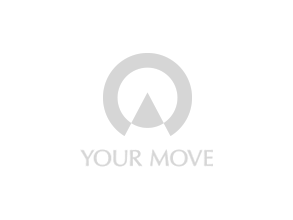 Your Move offers a no sale no fee conveyancing service with a guaranteed fixed price which will introduce you to a solicitor (this excludes disbursements). Start looking for a house to buy. You have an idea of what you may be able to afford so it’s time to start looking for a house. Register for daily updates of new properties from property portals and estate agency websites. It’s worth visiting estate agents’ offices too to get some advice. What are their top tips for up and coming neighbourhoods? And remember, you can save money by thinking outside the box. For instance, surrounding commuter towns may be more affordable than popular cities. Once you’ve trawled through listings online, you should hopefully have a few shortlisted. It’s time to book some viewings. Use our house viewing tips to help you get the most out of a viewing. If you viewed the property and loved it, it’s time to request the Home Report from the seller. A Home Report (which is provided free of charge to the buyer) contains three elements: the single survey which assesses the condition of the property; the energy report which gives the property an energy efficiency rating; and the property questionnaire which gives an overview of other useful information such as the property’s Council Tax band and alterations that have been made. You may also wish to arrange for a separate survey of the property yourself. Instruct your solicitor to make a written offer. Your solicitor should negotiate the terms of the offer with the seller’s solicitor. Properties will be advertised as ‘fixed price’, ‘offers over’ or ‘offers around’. ‘Fixed price’ means the property could be sold to the first person who offers the advertised price (though if the property has been on the market for some time the seller may accept lower offers). ‘Offers over’ means the seller will usually sell to the highest bidder. ‘Offers around’ means the seller will be willing to negotiate. The mortgage valuation is contained within the Home Report. If it is more than three months old, the valuation will need to be 'refreshed' and in some cases the lender may want to instruct their own valuation. Your solicitor will perform searches. The seller’s solicitor will send the property’s title deeds and certificates to your solicitor who will then check that the property isn’t adversely affected by local authority plans. This is called ‘performing searches’. You’ll receive your mortgage offer, plus all the terms and conditions surrounding your mortgage. You will need this before the sale can be concluded. The solicitors must agree on the written negotiations of the sale - the 'missives'. This can only be done once a mortgage offer is received. When the missives are agreed, this is known as 'conclusion of missives'. Both parties are now legally bound to the sale/purchase. This is known as the date of entry and will have been agreed by both sides prior to conclusion of missives. You can now start contacting removals companies to get quotes. Insure your home and contents. This is a great time to get buildings and contents insurance quotes. To keep things easy, Your Move’s Insurance Services department will be in contact with you. They offer a range of competitive products from a panel of insurers. You will need all relevant insurance policies to begin from the exchange of contracts date. Your utility companies will need to take meter readings. Write a list of everyone else who needs to know – the bank, your employer, your Grandma so you don’t miss out on a nice Christmas scarf! The Royal Mail can organise a mail redirection, but there will be a charge. Contact your chosen removal company to confirm your move. It’s time to start getting things in order, putting things in boxes and taking things to the tip. The seller's solicitor will draw up the disposition (a document transferring legal ownership). The buyer's solicitor will draw up the Standard Security (the deed securing the loan). The buyer must sign this. The full purchase price will be paid to the seller’s solicitor. Once the money is received, the seller’s solicitor will tell the estate agent to release the keys to the property. The property is now yours. High five!